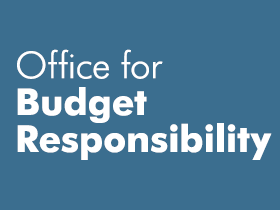 The Office of Budget Responsibility has given the Prime Minister a public dressing down. Robert Chote, the OBR’s Chairman, has clearly stated in an open letter that the Government’s austerity policies have harmed economic growth. As Chote states there is huge uncertainty about the size of multipliers. Jeffrey Sachs seems to think that such uncertainty undermines the case for fiscal expansion. But the lack of empirical regularities is a common feature of economics. And difficulties in measurement do not undermine the claim that fiscal expansion will boost demand and growth. Does the OBR agree with the Government? The momentum for a shift in policy is increasing. The impact will be greatest with a fiscal expansion which increases public sector investment compared to tax cuts (many of which will be used to repay debts rather than to spend). Furthermore, an increase in public investment will not only boost demand but will increase the supply potential of the economy – and will do much to ameliorate the long term damage of the Great Recession – much of which has yet to emerge.